An officer involved shooting inside a Oklahoma Walmart kills one man and injures two officers. It happened around 11 o’clock Saturday night when a shoplifter resisted arrest. Captain Bradley Rule with the Del City Police Department said it started with a shoplifter. A security guard, who is also a police officer with the Amber Police Department, was holding the man in an office until Del City police arrived. “While our officer was in route he was told that the suspect had a warrant for his arrest,” Captain Rule said. The outstanding warrant was for violating a suspended sentence. 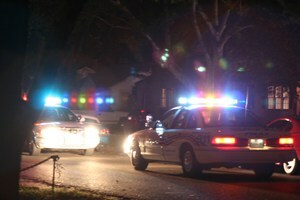 When the Del City officer arrived, the situation intensified. “He immediately went to take him into custody and a struggle ensued between them,” he said. During the struggle on the ground, police say the suspect pulled out a small handgun and started shooting. He shot the security guard in the arm and abdomen. The Del City officer was hit in the leg but managed to return fire, killing the shoplifter, whose name is being withheld at this time.“ “Shoplifting is obviously a crime,” Capt. Rule said. “But you wouldn’t think a regular person would want to be in a shootout with police for something small like that, but he did have a warrant so we’re assuming that’s why he acted the way he did.” The two officers remain hospitalized with non-life-threatening injuries.